Where did those last 6 months go? Its been a long hot dry summer here in Whanganui. 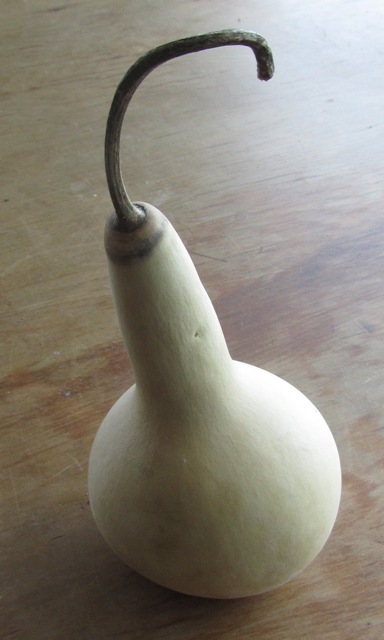 Anyone who has managed to get a good crop of gourds has done well. We’ve got a few beauties waiting to be picked. The vines are still growing and flowering, because the summery weather has stretched out into May. 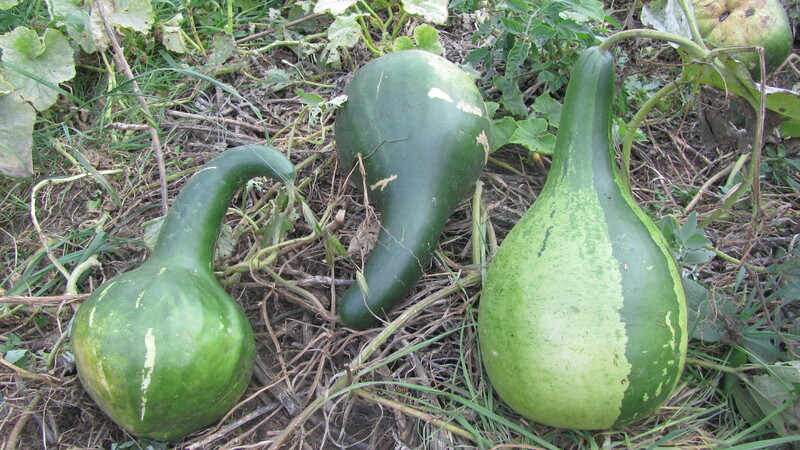 These gourds are massive, so they will take months to dry when the time comes to pick them. Another frost blankets the ground in Whanganui this morning. 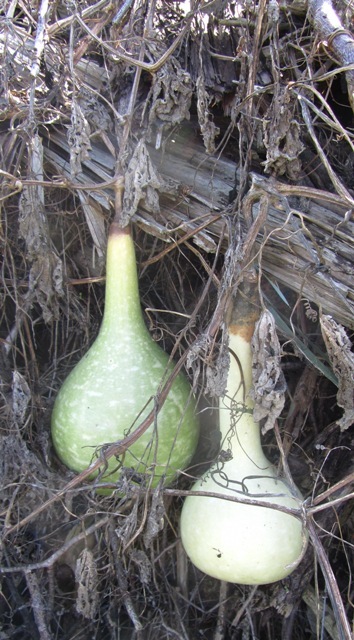 By now, all the gourds grown over the last season should be harvested and stored in an airy place, where they can gradually turn from green to brown and dry. Sunshine will help the moisture inside each gourd to evaporate. 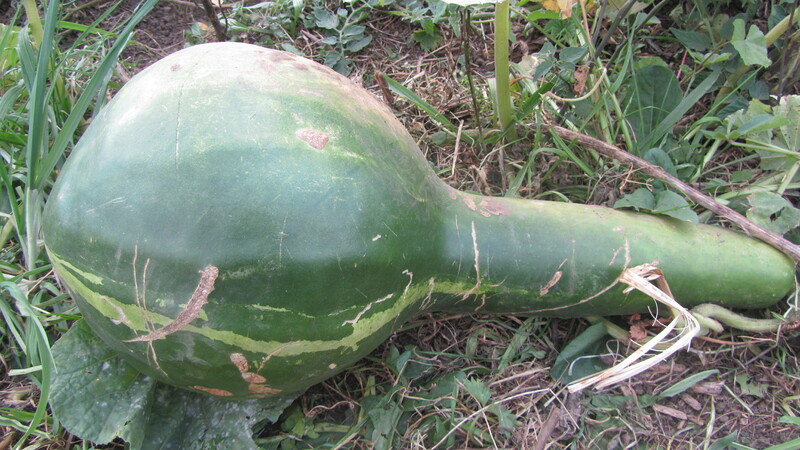 Because drying gourds are exuding moisture, they can develop thick moulds. These can be wiped off with bleach or with methylated spirits, or the mould can be left to grow. It will form interesting patterns on the surface of the gourd that can be enhanced and polished when the gourd is fully dried. 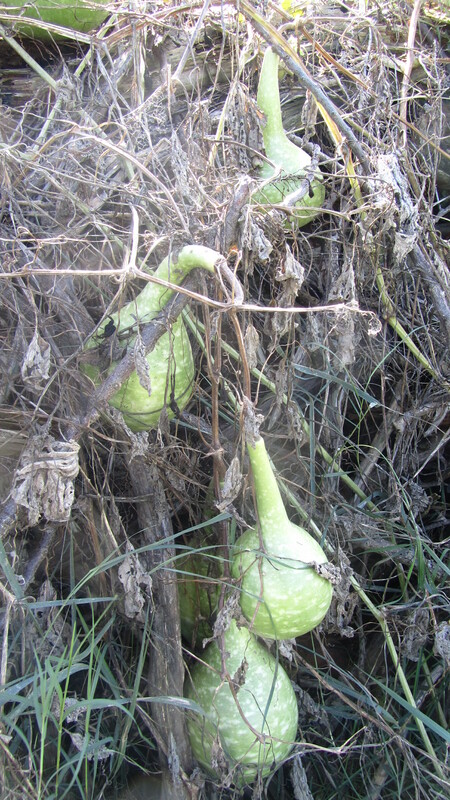 Now is the time to pull out the dried gourd vines from the garden and compost them. Clear away any weeds, add manure or compost to the ground to replenish nutrients used over the growing season, then cover the bare earth with a thick layer of mulch to prevent any weeds growing. This will ensure your garden is ready to replant in spring. It’s exciting to see new seedlings beginning to sprout. These tender baby plants began to grow inside, where is is nice and warm. They go outside in the sunlight during the day and are brought in at night, just in case we get another frost! 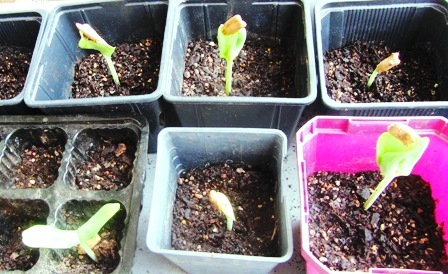 Their seed-cases are still sitting on top of the two first leaves like little hats.